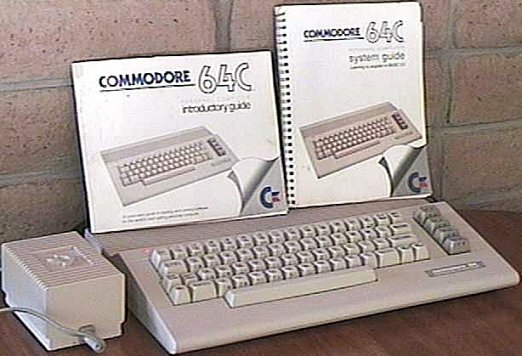 In late 1985-86, Commodore repackaged its masterpiece C64 in a sleek new case design, making it look a little more like their new Commodore 128. Along with the new look came a new motherboard. 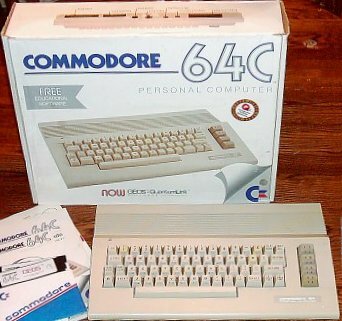 Early C64c computers had a later model C64 board. By 1987, however, they came with the new (and less expensive) 'E' boards. Fewer ROM chips and less expensive versions of the SID (8580) were just a few of the "improvements" (there is still much dispute as to whether the new SID is really an upgrade). 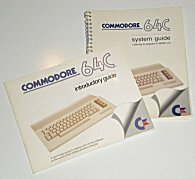 All versions of the C64C came stock with a brand new GUI operating system from Berkely Softworks called GEOS. In Australia, third party companies were scrambling to beat Commodore to the punch. They released their own "upgrade" cases, allowing owners of existing C64s to put their motherboards and keyboards in the sleek new cases. Sound: MOS 6581 or CSG 8580 "SID"
Personal Note: This line of computers I purchased only for their collectibility, although I do think the new case design is nice. I had many friends with this model when I was younger, and was always impressed by the feel. My C64c was obtained from a local Austin Good Will Computerworks while the Australian C64 and the C64-II (German) came from an eBay auction, and the embossed logo case revision from AmiBay.